The “Strip,” a stretch of North Lombard Street in St. Johns where approximately 20 homeless people lived in a dozen RVs, is gone. In July, WW explored the location, a favorite dumping ground for abandoning RVs and a makeshift community for people living on the streets. Only a converted school bus is still there—its disabled owner has invoked the Americans With Disabilities Act to fend off the city. It’s a strategy that disabled homeless people living in RVs in other cities are using. …but there’s a new “hot spot” in Lents. While the city’s new Community Caretaking tow program has gotten many of the most dilapidated RVs off city streets, Lents neighborhood activist Jennifer Young says new RV “hot spots” keep popping up—like the one on a hillside near Interstate 205. After looking for housing and finding only “scammers” and move-in costs around $4,000, they bought a 1988 Superchief and moved their belongings into two storage units. The pair share a monthly income of $1,500 that will jump to over $3,000 after Steve’s pension begins. They plan to head to the coast and seek a trailer park that takes older RVs. On Oct. 11, Portland resident John Maher was found guilty of 13 misdemeanors stemming from dismantling and abandoning 11 RVs without a license in St. Johns. Maher rented land at 6048 N Columbia Way to illegally dismantle at least 14 RVs, which were brought to him by towing companies. He successfully dismantled two and gave one away. Then he left 11 on city streets in March and April. Maher says the towing companies and property owner Ray Blackford had no knowledge of his plan. Here are Maher’s taped statements to Portland Police Detective Jeff Myers, submitted by prosecutors as evidence at his trial. They have been edited for space. In the recordings, Maher does not clearly state why he abandoned his plan to scrap the remaining RVs, but mentions that he needed 20 for the operation to be profitable, and that Blackford expressed concern that Maher had no dismantler or “wrecker” license. The “Strip” on North Lombard in Summer 2016. Photo by Daniel Stindt. RVs on the Portland streets, by the numbers. 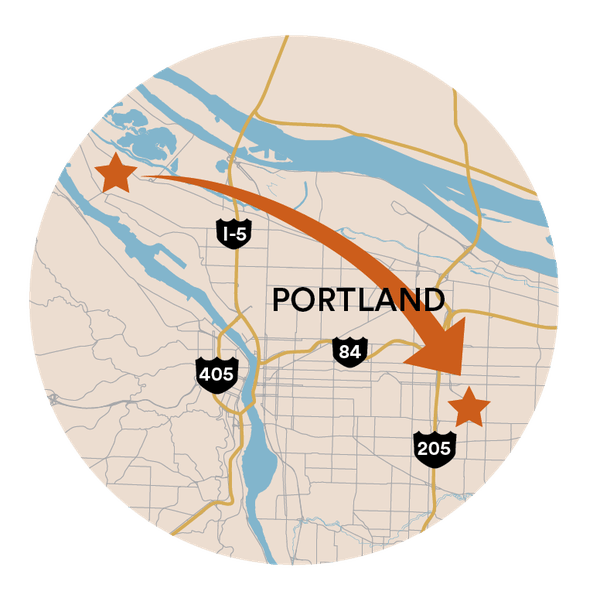 The Portland Bureau of Transportation’s “rough estimate” of the total number of RVs on Portland streets with people living in them, based on calls to a city hotline, reports from police, and PBOT parking enforcement. Number of RVs towed by the city since Jan. 1. Roughly 100 of these were towed since May under the city’s new tow program for occupied, hazardous RVs. The estimated cost to dismantle an RV legally. Calls to four local junk yards and auto salvages Oct. 16 found no one willing to take an old, nonworking RV—even for money. “I’m not interested—no sir,” said Oregon & A to Z Auto Wrecking. The potential penalty for selling a “hazardous” RV under a new Portland policy passed by the City Council on Oct. 4. 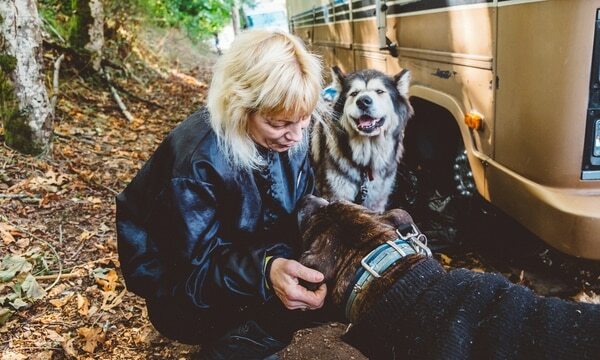 The date of the city’s RV Disposal Turn-In Day, at which it will take residents’ old campers off their hands, free of charge, at Portland International Raceway. Previous Previous post: Why Is It So Hard to Figure Out What ICE is Up To?